Do Not Stay Home: Go Out and Learn! Bibi Gul, 27, is a housewife with four children. She was born in the Shandon district of Herat province. 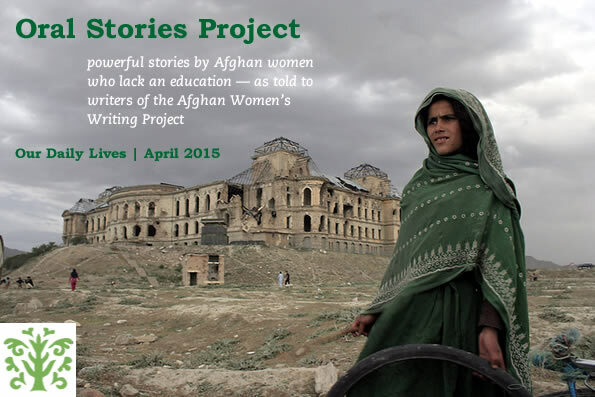 Herat– When it was time for my family to enter its girls in school I was not allowed to enter. This was a mistake. My father would not let us go to school to study like other girls, and now I am illiterate. My daily life is always monotonous and repeats the same every day. If I were educated I would be a teacher and help my society and help my family. But my life followed another path. When I leave the house I can’t read anything, not even the names or type of doctors. I feel ashamed to ask anyone. Being illiterate is the biggest pain. If someone is educated her children can be properly trained to handle every aspect in the field. I will tell you a story about illiteracy and its consequences. One day my daughter became very, very sick. We had a medicine, a syrup, which I gave to my daughter, but she became more ill after the medicine. The date had expired and it was toxic but I did not know because I could not read the label. We live in poverty. My husband goes to look for work from morning until evening, but often he cannot find any. I am always at home doing housework or with my children unless I am working elsewhere. I don’t like to ask for money from my husband. My message to illiterate women is do not stay at home, go learn something at some kind of school or take literacy courses to become self-sufficient and help bring in something for your families. In Afghanistan there is a proverb that education is not useful for girls, and that the only thing girls are useful for is keeping her husband’s house, cooking, and cleaning. I am so glad there was a literate woman to take down your story and give it to us. If you cannot write, you can speak, and you speak very powerfully. If you can learn just a tiny bit every day, in a few months you will find even basic literacy useful to you. My heart goes out to you and wishes you the best of good fortune. Thank you so much for this story. It is such an eye-opener, showing the extremely basic importance of literacy. It also makes me appreciate my own extraordinary opportunities so much more. I hope the best for Bibi.